When a tooth are considered too decayed for comventional composite ( tooth-coloured ) fillings or amalgams to be done , your dentist may opt for a more resilient "restoration" which is what we term as crowning of the tooth . A crown can be made completely of metal , which is normally indicated for your back teeth . While crowning of a tooth costs more than conventional fillings done normally , they are definitely more long lasting and will provide a better sense of security both to the patient and the dentist , If done properly , crowning of a tooth are proven over time to last a very long time . 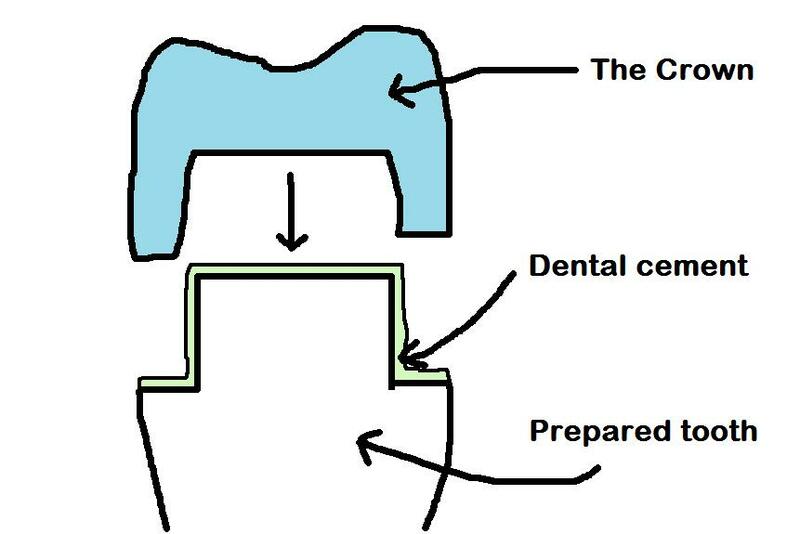 Dental crowns are "glued" to your teeth by dental cement which are made of specially formulated materials which are loosely similar to those of composite fillings . In Malaysia , based on the MDA guidelines of pricing for dental crowns 2010 , they will cost around RM650 and above for non precious metal full metal crowns ( which means crowns that are made of metals that are not expensive ) while metal crowns that contains precious metal will cost you about RM1000 and above. Ceramic crowns , which requires a certain amount of expertise and technique to fabricate will cost you around RM1100 and above . While roughly translates that crowning for your front teeth will usually cost more . Those porcelain fused metal crowns ( layered crowns with a metal base and porcelain outermost layer will range from RM700 - RM 1200 depending on the type of metal used . These prices were drafted quite some time ago , therefore it is better to bet on the safe side and consult your dentist about the prices he is charging before moving on . Dental crowns can also be done on a child when his or her teeth are unrestorable by composite fillings , we call them Stainless steel crowns , althought they aren't made of stainless steel but are mostly Nickel based . These crowns that are placed on children are meant to maintain the integrity of the tooth until they change to their permanent teeth . Dental bridges are done when there is a tooth missing in between two "healthy" tooth to replace the missing tooth in between . With a larger missing teeth area missing in an area , the probability of a bridge to fail will increase too . That is because the bridge itself will be only supported by less "foundation" and will experience more force from biting . Therefore , It is of utmost importance to discuss the treatment plan with your dentist thoroughly and you might be better off with a pair of dentures . Bridges are made just like crowns are made with the difference of bridges consists of a few units of "attached crowns" . 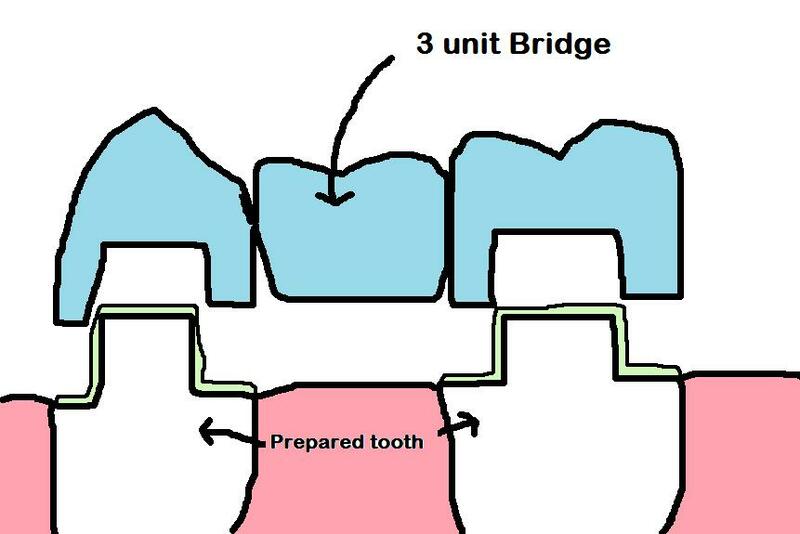 Based on the Malaysian Dental Association guidelines of 2010 , Bridges are priced based on the number of "units" of the bridge . Which means , if your bridge is a 3 unit bridge using non precious metal , it will be RM650 x 3 = RM1950 . Some dentist will not be calculating like this and may offer a cheaper price . Please do take note that , Crowns and bridges are complicated pieces of mini prosthesis for your teeth and our fellow dentists are required to send them to a dental laboratory for fabrication , which means prices of crowns and bridges are actually determined by the type of metal and the workmanship from the dental lab's side .